“The Runaway Dinosaur” has it all; superheroes, zombies, and Jason Mewes. 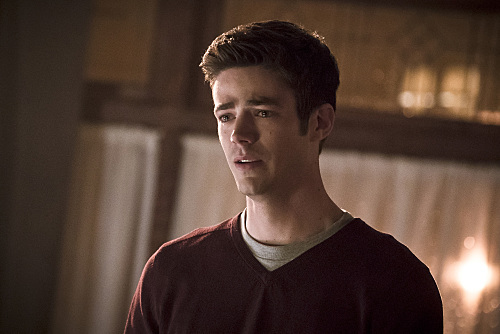 Kevin Smith makes his long anticipated return to the world of superheroes as the guest director of this very special episode of The Flash that explores Barry’s past and future. Smith is perhaps best known for his successful film projects “Clerks,” “Dogma,” “Chasing Amy,” etc; but even without his film achievements he is also a notable geek icon as the co-host of the Youtube series Fatman on Batman and an executive producer and frequent guest star of AMC’s “Comic Book Men.” However, fans might not be aware of his comic writing credits. Smith has written original stories for major superheroes such as Daredevil (The Target,) Green Arrow (Quiver and Sounds of Violence,) and Batman (The Widening Gyre and Cacophony.) He is also the creator of fan favorites Mia Dearden (the basis for Thea) and Onomatopoeia (a gimmicky villain with an unsettling obsession.) It’s important to note Smith’s accomplishments as a comic writer because I believe it’s a big part of what makes “The Runaway Dinosaur” such a tremendous success. Beyond theatrical experience, the value of Smith’s perspective ends up being a more broad understanding of the characters’ personalities. The proper respect is paid to the series’ iterations of the characters by “The Runaway Dinosaur’s” writer, Zack Stenz, but everything from dialogue patterns and presences to reactions and expressions ring much closer to each character’s comic book counterpart. Barry’s story benefits significantly in an externalization of an internal struggle that simultaneously acts as his final obstacle to getting his speed back. This expectation forms a thought provoking study of Barry’s identity, with a bevy of emotional ups and downs delivered expertly by Gustin. The experience is heart-wrenching, but still dignified and treated with reverence deserving of a figure as iconic as the Flash. Of course the reverence of Barry’s story is balanced by the irreverence of the Zombie Girder storyline. It’s handled seriously, but it’s not without humor of both situational and casual varieties. Smith clearly has a solid grasp of the characters’ respective personalities, so humor comes across as organic and effortless. It also allows characters to play off of each other in entertaining ways. 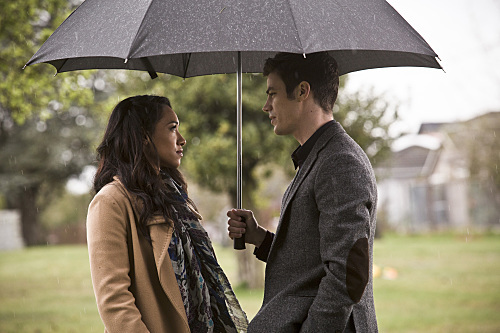 The most surprising aspect of the Zombie Girder story though came in the form of Candice Patton’s presence mirroring that of Iris West’s from the comics. I’ve never considered Patton to be particularly weak in her portrayal of Iris, but this is probably the first time I’ve seen her channel the fearlessness and snark that Iris is known for. Final Word: A tangible need leads to a physical excursion that results in an emotional gauntlet of self-discovery to gain strength, identity and purpose. It’s isn’t just a c////haracter arc, it’s the hero’s journey, and Kevin Smith and Zack Stenz manage to jam all of that in to one episode while still maintaining an effective meta of the week. The Zombie Girder storyline, while entertaining, is fairly unremarkable. In fact, surprisingly enough, it’s the mundane stuff happening around Girder that’s worth paying attention to. Barry is heroic, Iris is fearless, and Cisco is funny. All this is common to Flash, but Smith turns it all up, making “The Runaway Dinosaur” a much more bold statement than some other episodes. And if the conclusion doesn’t bring you to tears…then you’re simply made of stone. “The Runaway Dinosaur” gets a 9.8/10. Kevin Smith and Zack Stenz use the CW’s significant assets to tell a story that praises both the live-action and comic book versions of this superhero icon.